There are few wilder, more magnificent and untouched places than the Arctic Islands of the North Atlantic! And no ships more suited than Ocean Atlantic for such an voyage. 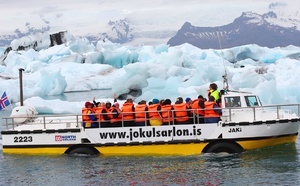 The cruise starts in Longyearbyen, the largests of the two settlements on Svalbard. 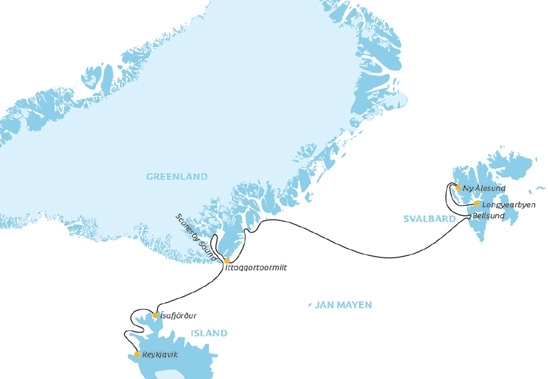 We will venture north and south along the west coast Spitsbergen Island before heading south-west towards Greenland. The crossing of the Greenland Sea will get us in close encounter with late winter icefloes from the Polar Sea – and a high chance of spotting seal hunting polar bears. In Greenland we will aim for great fjords in the National Park, as well as Scoresby Sound, the largest fjord systems in the World - all ice depending. After re-crossing east out of Greenland, we reach the west fjords of Iceland with the gigantic bird cliffs of Hornbjarg and the bustling small town of Ísafjörður. Utilizing Ocean Atlantic’s fleet of Zodiacs, we aim for puffing colonies and small islands along the westcoast before our final desitation of Reykjavík, Icelands small & hectic Capital. 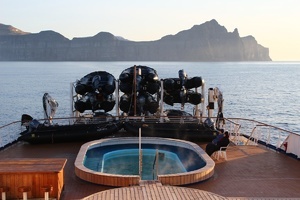 Sail aboard one of the world’s only ice-class expedition ships built to meet the North Pole pack ice. 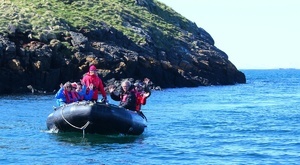 See whales, walruses, sea birds and other amazing wildlife close up. Very good chances to see polar bears as well their main prey, seals. 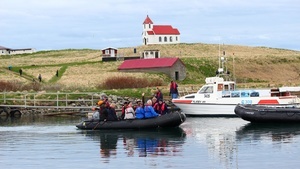 Zodiac cruises in the fjords and nature walks on the tundra. Get to know Longyearbyen - Svalbard’s ‘Capital City’.